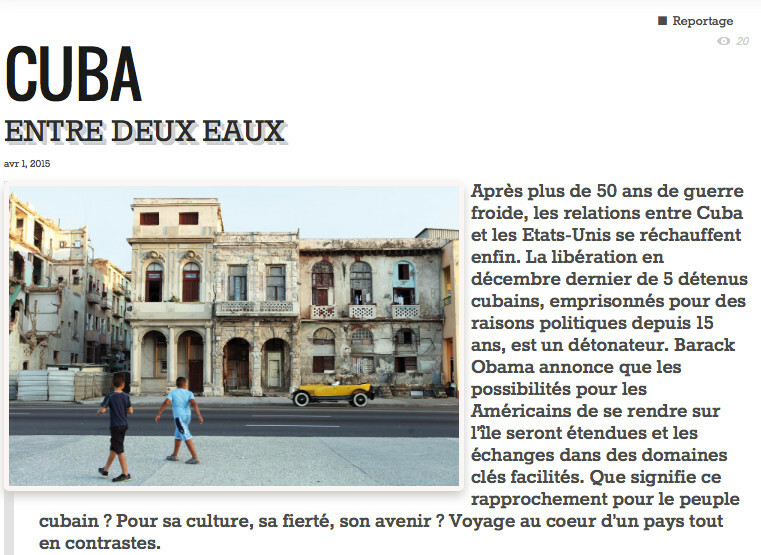 Very proud LM Magazine published my piece about Cuba, its culture and its future as the relationships between the island and America are warming up. Working with LM Magazine is always an enriching and challenging experience as it pushes me. It’s a great magazine I recommend to everyone interested in culture and who can read a bit of French!